To celebrate Reformation Day, Christianaudio.com is offering Martin Luther: In His Own Words as a free audiobook download through October 31. (They also made this offer last year.) 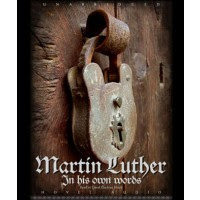 This is a compilation of many of Luther's most important writings, including the Ninety-Five Theses and six other works.